Originating from Florence, the Negroni conjures romantic images of sunny afternoons in Italy that slip into wild evenings. The bright short drink is rumoured to have been created after Count Camillo Negroni demanded a stronger version of the popular Americano cocktail in the Caffè Casoni bar in Florence in 1919. Now they're a staple in basement bars in Brooklyn and rooftops in Rio having grown in popularity recently alongside other vibrant drinks that pack a punch, like the Old Fashioned. With just three ingredients and a very undemanding mixing process, it is an impressive tipple to have in your repertoire. Italian food aficionado and restauranteur Russell Norman says of the drink, "The combination of Campari, vermouth and orange is the essence of agrodolce, (meaning bittersweet); it's the magic of Italian cuisine." In a mixing glass, give all three ingredients a few quick turns over very cold ice until well blended. 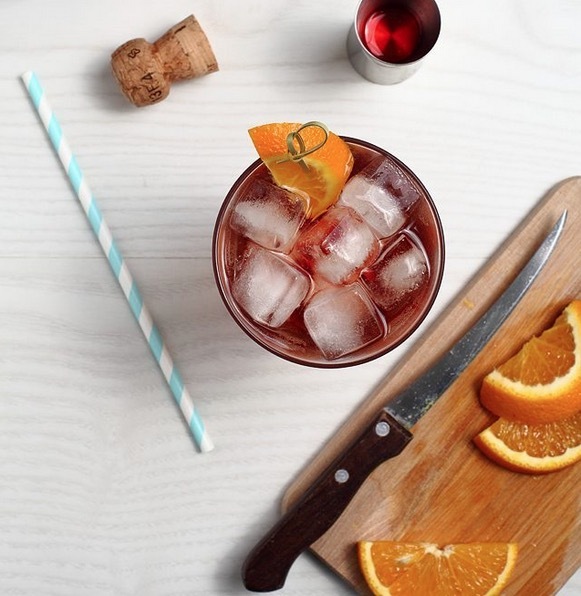 Strain into a rocks glass over a large ice block or sphere and garnish with an orange twist.